Om CO2 relatert til melkesyre. Denne er ifh panikkangst, men gjelder også ifh trening og hva som helst av aktivitet eller sykdom hvor melkesyre er et element å ta hensyn til. Clinical and biochemical characteristics of the 46 patients as indicated in figure 1 and after stratification for the presence of hypocapnia (Pco2 <4.6). The data are presented as median (range). Statistical comparisons between the normocapnic and hypocapnic subgroups were made by the χ2 test for dichotomous variables and for continuous variables by Mann–Whitney U test. 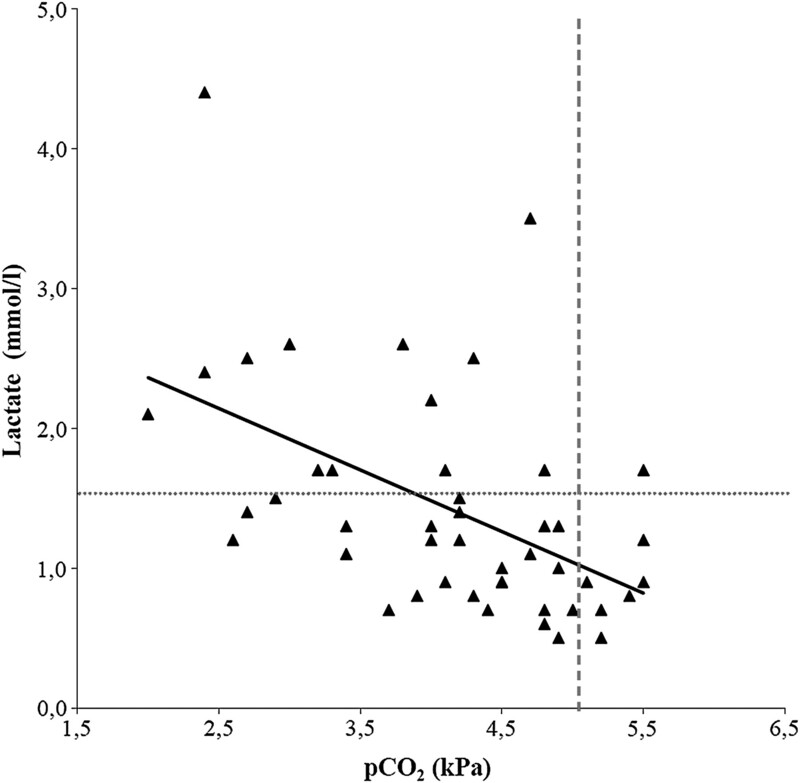 ↵* p<0.05 compared with normocapnic participants. ↵† p<0.001 compared with normocapnic participants. Dette innlegget ble publisert i Forskning og artikler og merket med CO2, Hyperventilering, pH. Bokmerk permalenken.